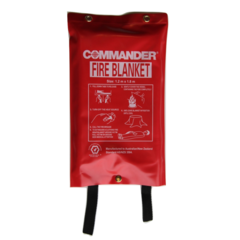 The Commander Fire Blanket is perfect for keeping around any environment that uses stoves or fryers. Designed for extinguishing medium fires. 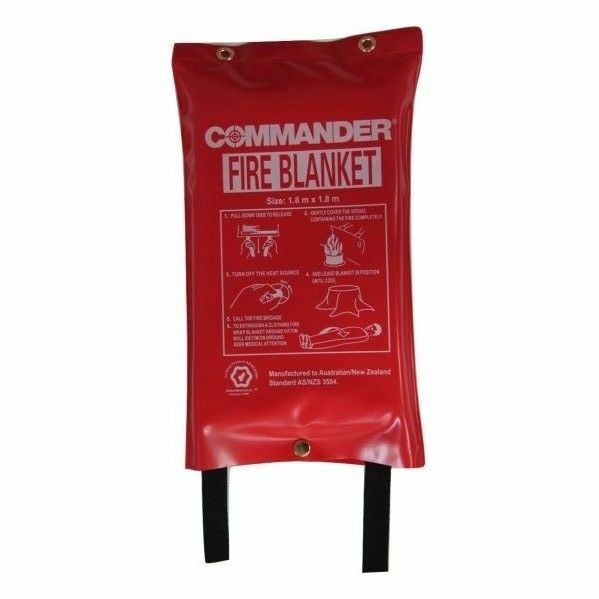 The fire retardant fibreglass fabric will suffocate the flame quickly allowing you to restore safety. Keep one in your kitchen, workshop, boat, caravan, 4WD or at the campsite. 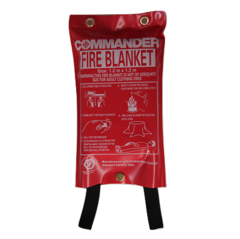 The blanket measures 1.8 x 1.8 m, and is made from fire resistant, woven fibreglass material. Manufactured to Australian/New Zealand Standard AS/NZS 3504.